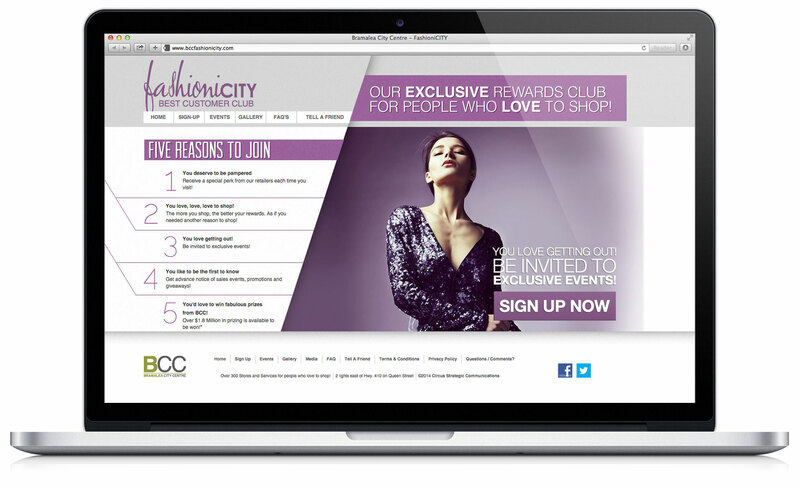 Bramalea City Centre FashioniCITY Loyalty Program | circus strategic communications inc.
Bramalea City Centre, a regional shopping centre just north of Mississauga, had a problem. They were no longer the first love of their community. 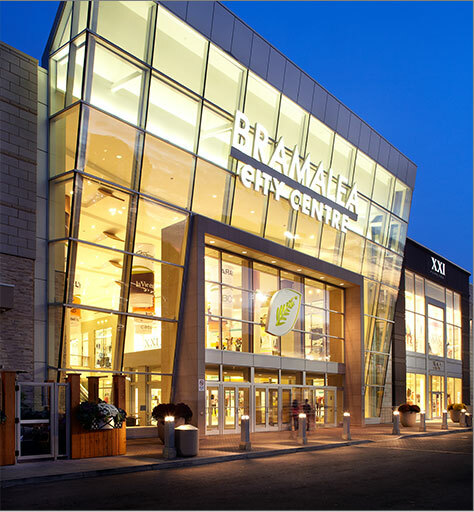 To increase their appeal to their market, Bramalea City Centre completed a transformation consisting of a 165 million dollar face-lift and an expansion filled with the most desirable of retailers. But this wasn’t enough to win their shoppers back from the competition. 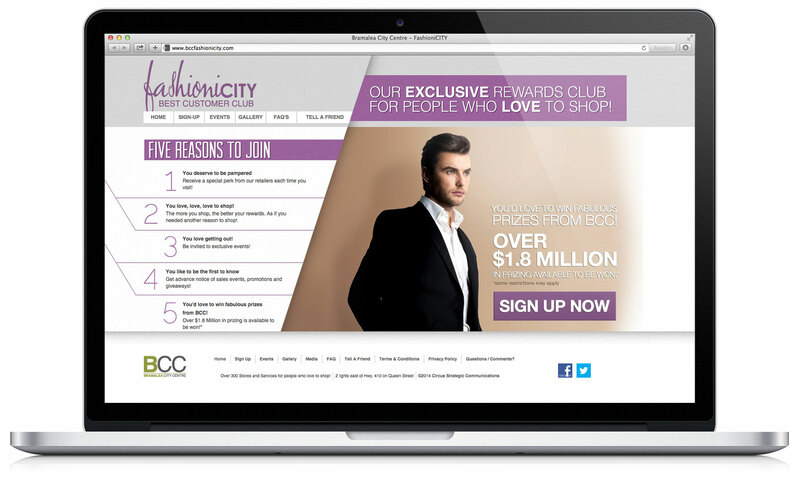 To woo customers back, circus developed, launched and manages a fully integrated and interactive mall-wide loyalty program – the first of its kind in Canada. 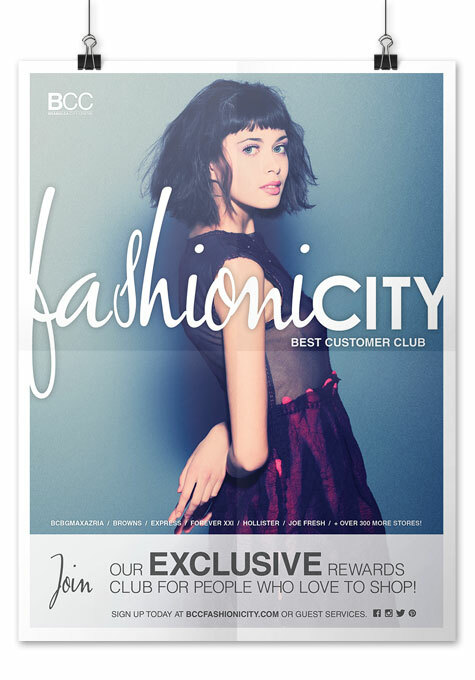 Shoppers who join the club enjoy special perks, privileges and offers from Bramalea City Centre and its retailers. Shoppers are able to sign-up in mall at one of the kiosks, with an ambassador, at Guest Services or the FashioniCITY microsite. Members are able to curate their profiles and complete tasks to enhance their membership level, perks and privileges. Ongoing member eblasts are hyper-segmented based on the member profiles resulting in increased member satisfaction and visitation. This innovative loyalty program brought back the love. 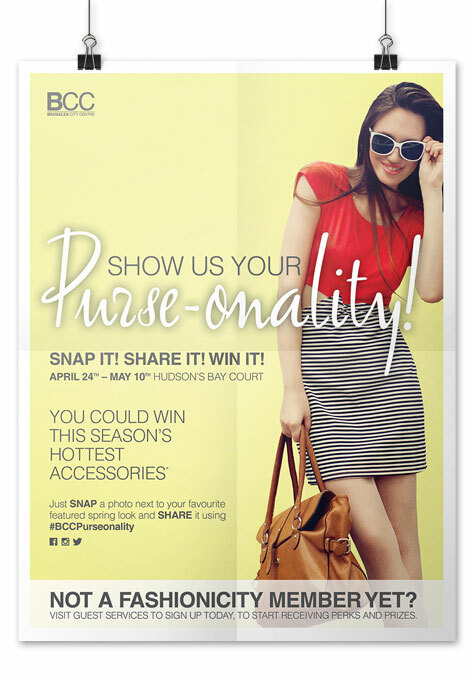 Since Bramalea City Centre was competing with shopping centres with strong fashion offerings circus determined that it was imperative that the program name clearly position BCC as the superior shopping option and destination for fashion. 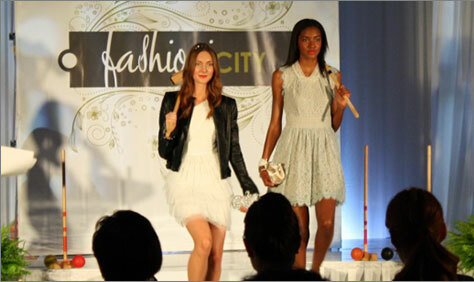 FashioniCITY offered Bramalea City Centre a fresh and exciting brand position that quickly repositioned BCC as the leading fashion destination in its market. 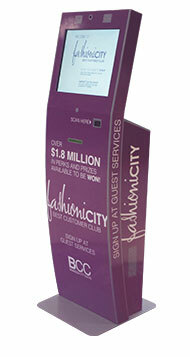 To generate awareness and membership, entrances and empty stores in the centre were converted into large format media and FashioniCITY branded kiosks were installed to provide additional information about the program, membership registration, member check-in and out and as a means of dispensing member specific retail offers. Full-page ads were placed in local newspapers and magazines, social media strategies and tactical guerrilla events were activated. Over 20,000 memberships were quickly generated. Results for this program have vastly exceeded expectations and set objectives. 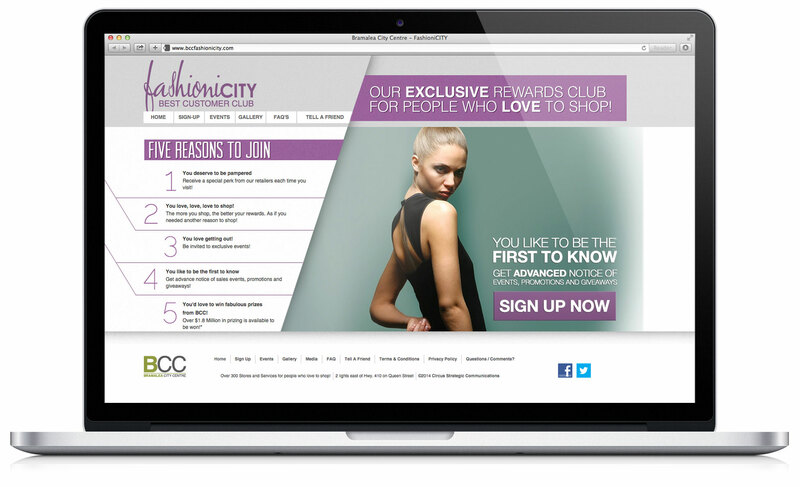 New program features and latest technology and engagement strategies continue to generate new members and keep current members passionate about shopping at Bramalea City Centre. Want to start a project or just say hi? We'd love to talk with you, so why not drop us a note. Get our latest blog posts delivered straight to your inbox. © 2019 circus strategic communications inc.